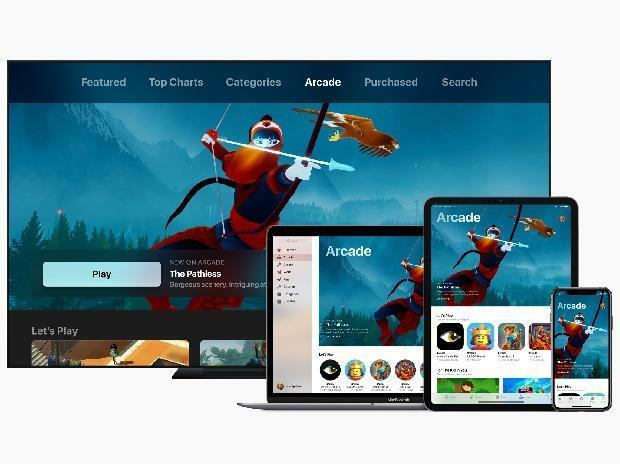 US-based technology behemoth Apple on March 25 announced Apple Arcade, the world’s first game subscription service for mobile, desktop and the living room. The service that will be launched later this year, will feature over 100 new and exclusive games, including original releases from creators Hironobu Sakaguchi, Ken Wong, Will Wright and dozens more. Apple Arcade will be launched as a dedicated tab in the App Store. It will have access to a collection of brand new games that will not be available on any other mobile platform or in any other subscription service. Being a game subscription service, the Apple Arcade would give gamers the opportunity to try any game before purchase and get access to the full experience by paying subscription amount, which would include all game features, content and future updates, and no additional in-game purchases. Every game that will be available in Arcade will support offline play. It will also feature games with support for game controllers. Apple Arcade games would be available across iPhone, iPad, Mac and Apple TV, allowing gamers to pick up where they left off in a game, even if they switch devices. The game subscription service will boast a curated list of gaming titles based on originality, quality, creativity, fun and their appeal to players of all ages. Gamers will have the option to try any game from the collection of titles with no ads, ad tracking or additional purchases, and respect to user privacy. For Arcade, Apple is not just handpicking the games, but also contributing to the development costs and working closely with creators to bring the games to life. The service will feature games from Annapurna Interactive, Bossa Studios, Cartoon Network, Finji, Giant Squid, Klei Entertainment, Konami, LEGO, Mistwalker Corporation, SEGA, Snowman, ustwo games and dozens more.